Category: Chiapas Collection. Tags: back strap loom weaving, Chiapas, cushion cover, fair trade, Mayan weavers, Mexican cushions, Mexican weaving cooperative, Mexico, traditional handicraft. Mexican cushions hand woven by Mayan weavers in the highlands of Chiapas weavers using the back strap loom weaving technique which dates back to pre-Hispanic times. 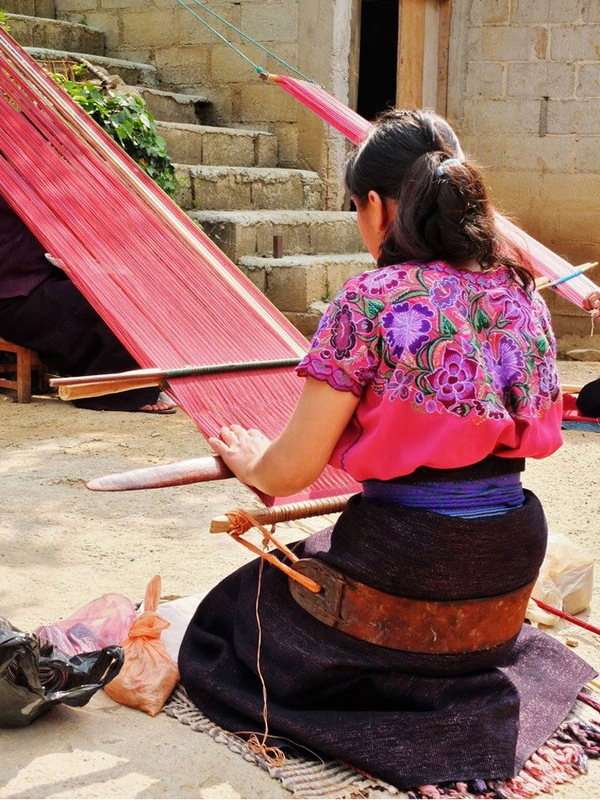 We work directly with the not for profit organisation working to preserve traditional weaving techniques in the Chiapas highlands and to enhance the lives of the weavers. 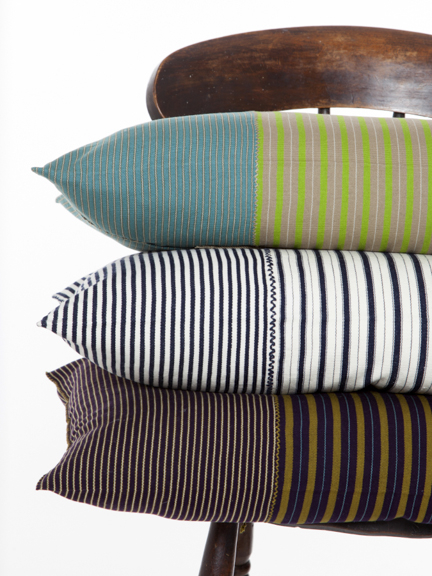 Each cushion cover is carefully handcrafted and all the finishing is done by hand. 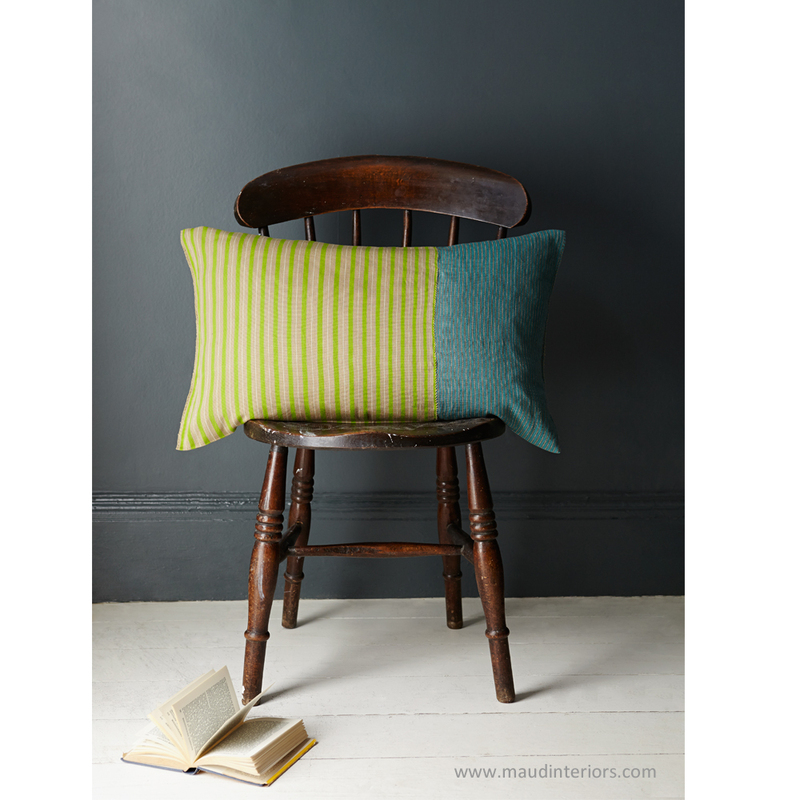 Find out more about the not for profit association behind these cushions here. 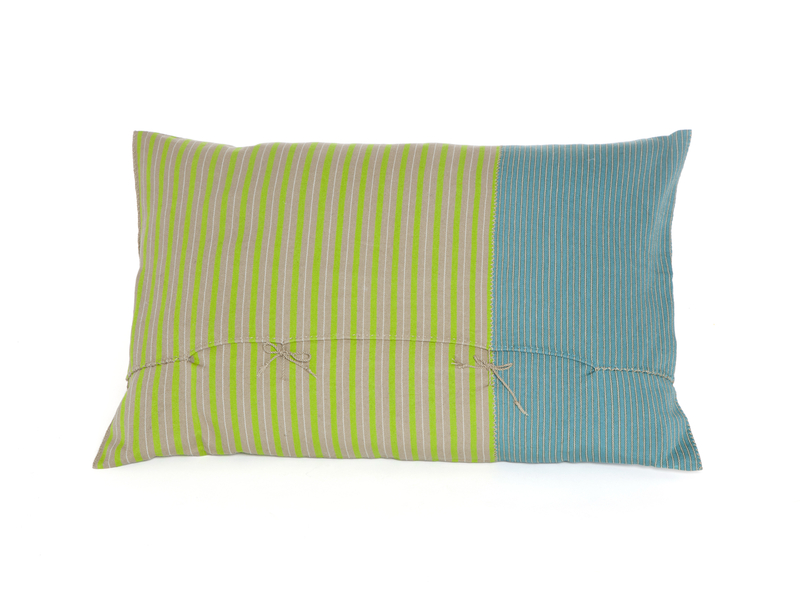 This bright summery design of zesty lime green and turquoise stripes is perfect for lounging on outside on sunny days. It works well in a contemporary interior too. Roll over the images to see the design in more detail.